May Contest Legs Award for flying the most legs during the month of May 2017 1 Not Awarded Yet! European Port Of Call For completing the Tour: European Port of Call 1 Not Awarded Yet! National League Tour For completing the Tour: National League 1 Not Awarded Yet! PGA Gold Tour For completing the Tour: PGA Golf Tour 0 Not Awarded Yet! NFL Stadium - AFC For completing the Tour: NFL Stadium Tour - AFC Conference 1 Not Awarded Yet! NHL Stadium Tour - West For completing the Tour: NHL Western Stadium Tour 0 Not Awarded Yet! NBA Stadium Tour - East For completing the Tour: NBA Eastern Conference Stadium Tour 0 Not Awarded Yet! Aerolineas Argentinas For completing the Tour: Aerolineas Argentinas Codeshare Tour 0 Not Awarded Yet! AeroMexico For completing the Tour: AeroMexico Codeshare Tour 0 Not Awarded Yet! Air Europa For completing the Tour: Air Europa Codeshare Tour 1 Not Awarded Yet! Air France For completing the Tour: Air France Codeshare Tour 0 Not Awarded Yet! AirItalia For completing the Tour: AirItalia Codeshare Tour 0 Not Awarded Yet! China Airlines For completing the Tour: China Airlines Codeshare Tour 0 Not Awarded Yet! China Eastern Airlines For completing the Tour: China Eastern Airlines Codeshare Tour 0 Not Awarded Yet! Czech Airlines For completing the Tour: Czech Airlines Codeshare Tour 0 Not Awarded Yet! Garuda Indonesia For completing the Tour: Garuda Indonesia Codeshare Tour 0 Not Awarded Yet! Gol Linhas Tour For completing the Tour: Gol Linhas Codeshare Tour 0 Not Awarded Yet! Vietnam Airlines Tour For completing the Tour: Vietnam Airlines Codeshare Tour 0 Not Awarded Yet! Jet Airways Tour For completing the Tour: Jet Airways Codeshare Tour 0 Not Awarded Yet! Korean Air Tour For completing the Tour: Korean Air Codeshare Tour 0 Not Awarded Yet! KLM Codeshare Tour For completing the Tour: KLM Codeshare Tour 2 Not Awarded Yet! Virgin Australia Airlines For completing the Tour: Virgin Australia Airlines Codeshare Tour 0 Not Awarded Yet! RJAA Award for joining the RJAA (Tokyo Disneyland) based flight crew 2 Not Awarded Yet! ZSPD Award for joining the VHHH (Shanghai Disneyland Resort) based flight crew 5 Not Awarded Yet! Livery Master For creating many new liveries to enhance the Disney Air Fleet 1 Not Awarded Yet! Sunset Showdown - Disney For attending the Sunset Showdown - Disney Air Group Flight event. 0 Not Awarded Yet! Engulf Gulfport For attending the Engulf Gulfport event. 0 Not Awarded Yet! Not in This Lifetime 2017 For completing the Disney Air Guns N Roses Not in this Lifetime Tour 2017 0 Not Awarded Yet! Not in This Lifetime 2016 For completing the Disney Air Guns N Roses Not in this Lifetime Tour 2016 0 Not Awarded Yet! UEFA Tour For completing the Disney Air UEFA Tour 0 Not Awarded Yet! Class Bravo Airspace Tour For completing the Class Bravo Airspace Tour 1 Not Awarded Yet! 2000 Hours For logging 2000 Flight Hours with Disney Air! 0 Not Awarded Yet! 3rd Place in Screen Shot Awarded for winning Third Place in a Monthly Screenshot contest 2 Not Awarded Yet! VATSIM FNO For attending the VATSIM FNO event. 0 Not Awarded Yet! Winter in New York For attending the Winter in New York event. 0 Not Awarded Yet! Never Dull at Dulles For attending the Never Dull at Dulles event. 0 Not Awarded Yet! 1st Place Christmas Tree For finishing in first place in the first annual Christmas Tree Decoration Competition 1 Not Awarded Yet! 2nd Place Christmas Tree For finishing in second place in the first annual Christmas Tree Decoration Competition 0 Not Awarded Yet! 3rd Place Christmas Tree For finishing in third place in the first annual Christmas Tree Decoration Competition 0 Not Awarded Yet! Northeastern Corridor 201 For attending the Northeastern Corridor 2018 event. 0 Not Awarded Yet! San Juan FNO For attending the San Juan FNO event. 0 Not Awarded Yet! Good Morning Seattle For participating in the Good Morning Seattle Event 0 Not Awarded Yet! European Union Tour For Completing the European Union Tour 1 Not Awarded Yet! Happy Birthday Rick Hirsc For attending the Happy Birthday Rick Hirsch! event. 0 Not Awarded Yet! Happy Birthday Keith Buck For attending the Happy Birthday Keith Buckner! event. 0 Not Awarded Yet! Happy Birthday Eddie Rodr For attending the Happy Birthday Eddie Rodriguez! event. 0 Not Awarded Yet! Happy Birthday John Gutsm For attending the Happy Birthday John Gutsmeidl event. 0 Not Awarded Yet! Happy Birthday Ronnie Haz For attending the Happy Birthday Ronnie Hazlett event. 0 Not Awarded Yet! Happy Birthday Jeremy Ric For attending the Happy Birthday Jeremy Richmond! event. 0 Not Awarded Yet! Happy Birthday Fred Becke For attending the Happy Birthday Fred Becker! event. 0 Not Awarded Yet! Happy Birthday David Ham! For attending the Happy Birthday David Ham! event. 0 Not Awarded Yet! Happy Birthday Shane Frie For attending the Happy Birthday Shane Friedman event. 0 Not Awarded Yet! Happy Birthday Richard Kn For attending the Happy Birthday Richard Kneeland! event. 0 Not Awarded Yet! Happy Birthday Ariam Delg For attending the Happy Birthday Ariam Delgado! event. 0 Not Awarded Yet! Happy Birthday Fady Botro For attending the Happy Birthday Fady Botros event. 0 Not Awarded Yet! Happy Birthday Jim Sims! For attending the Happy Birthday Jim Sims! event. 0 Not Awarded Yet! Happy Birthday Chaz Watki For attending the Happy Birthday Chaz Watkins! event. 0 Not Awarded Yet! Happy Birthday Josh Welte For attending the Happy Birthday Josh Welte! event. 0 Not Awarded Yet! Happy Birthday Francis Ch For attending the Happy Birthday Francis Chu! event. 0 Not Awarded Yet! Happy Birthday Scott Lohr For attending the Happy Birthday Scott Lohr! event. 0 Not Awarded Yet! Happy Birthday Michael O' For attending the Happy Birthday Michael O'Brien! event. 0 Not Awarded Yet! Happy Birthday Jeffrey Mi For attending the Happy Birthday Jeffrey Miles! event. 0 Not Awarded Yet! Happy Birthday Arsal Ali! For attending the Happy Birthday Arsal Ali! event. 0 Not Awarded Yet! Happy Birthday Jonathan D For attending the Happy Birthday Jonathan Drucker! event. 0 Not Awarded Yet! Happy Birthday Conner Par For attending the Happy Birthday Conner Parmenter! event. 0 Not Awarded Yet! Happy Birthday Davis Izzi For attending the Happy Birthday Davis Izzi! event. 0 Not Awarded Yet! Happy Birthday Emma Jacks For attending the Happy Birthday Emma Jackson! event. 0 Not Awarded Yet! Happy Birthday Mike Hotch For attending the Happy Birthday Mike Hotchkiss! event. 0 Not Awarded Yet! Happy Birthday Ryan Al-He For attending the Happy Birthday Ryan Al-Hejji! event. 0 Not Awarded Yet! Happy Birthday Mike Terri For attending the Happy Birthday Mike Terrill! event. 0 Not Awarded Yet! Happy Birthday Ray Sazono For attending the Happy Birthday Ray Sazonov! event. 0 Not Awarded Yet! Happy Birthday Jaylen Joi For attending the Happy Birthday Jaylen Joiner! event. 0 Not Awarded Yet! Happy Birthday Jessica Fe For attending the Happy Birthday Jessica Ferguson! event. 0 Not Awarded Yet! Happy Birthday Charles Ne For attending the Happy Birthday Charles Nevin! event. 0 Not Awarded Yet! Happy Birthday David Wile For attending the Happy Birthday David Wiley! event. 0 Not Awarded Yet! Happy Birthday Kenneth Ja For attending the Happy Birthday Kenneth Jay! event. 0 Not Awarded Yet! Happy Birthday Kristian H For attending the Happy Birthday Kristian Hedqvist! event. 0 Not Awarded Yet! Happy Birthday Michele Fa For attending the Happy Birthday Michele Fabbri! event. 0 Not Awarded Yet! Happy Birthday Jayson Ort For attending the Happy Birthday Jayson Ortiz! event. 0 Not Awarded Yet! Happy Birthday Zhihan Zha For attending the Happy Birthday Zhihan Zhao! event. 0 Not Awarded Yet! Southwest Tour 1 KMCO For completing the Tour: Southwest Tour 1 KMCO. 0 Not Awarded Yet! 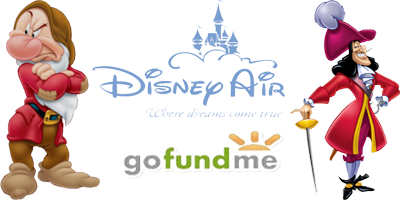 Disney Air\'s Southwest a For completing the Tour: Disney Air\'s Southwest airlines codeshare Part 1 KMCO HUB. 0 Not Awarded Yet!